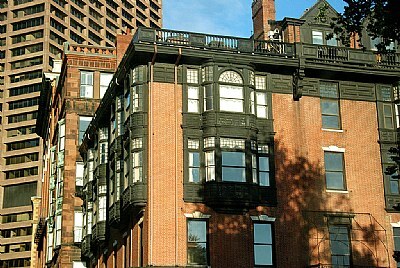 About Brownstone windows in Boston. An image of contrasting architecture, the old and the modern. Love it.